You will have total control over who gets access to what. With Fusioo you are in control of your data. You can set up powerful access permissions and rest assured that your data is private and secure. Fusioo uses a Role based permission system to control access throughout the whole platform. Admin. Users in this Role will have Fusioo administrative privileges. 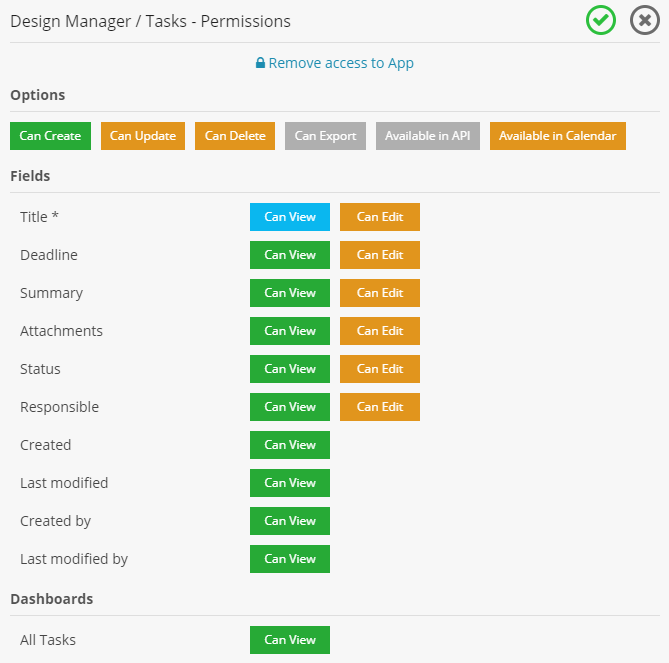 They will be able to set up permissions, create new Roles, invite users, and modify the Fusioo workspace. Developer. Users in this Role will be able to access their developer workspace. Administrative access will not be granted. Client. You can also create Roles for your clients. Set up client privileges so that they are only notified about the ongoing progress of their projects. Switching someone to a new Role is easy. Just drag and drop the user on a new Role and you are done. 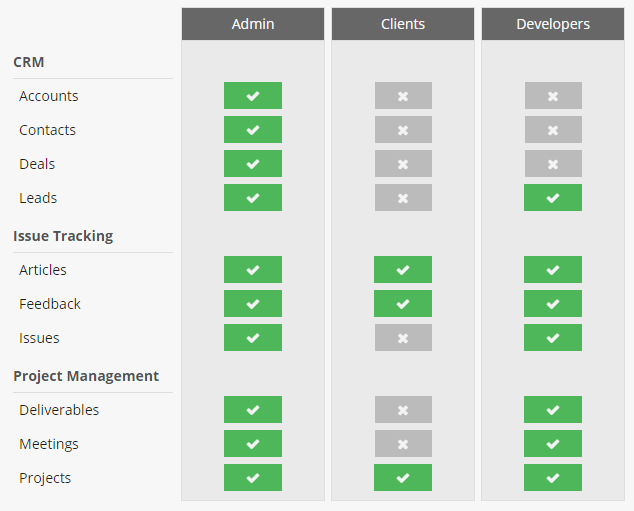 The permissions page will provide you with a detailed overview of Role permissions. Want to restrict access for a particular Role to a particular Field? Fusioo's granular permissions will let you control who can create, view, edit and delete records in your workspace.